Hi guys, it's Lauryn! 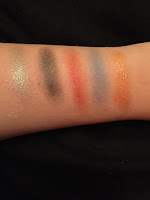 So today, I am back with another review which is on the Make Up Revolution Mermaids Forever 32 Ultra Eye Shadows Palette. My boyfriend bought this for me as one of my presents on Valentine's Day and I've been loving it ever since as I have been wanting to buy it for months but I never actually got round to it. Also, soon there will be a Make Up Revolution gifted haul and swatches post up so please make sure you come back to see that where I will be reviewing all of the products and also talking a bit about the brand itself! The palette comes in a beautiful blue box which has somewhat of a metallic finish which I absolutely love. The packaging is actually extremely sturdy which I was surprised about and definitely does it's job. Then, the palette itself is the same as most of the Revolution palettes; sleek black with the labelling of the palette. I love the size of the palette because it is perfect for travelling and it will fit into pretty much any make up bag. One of my favourite things about this palette is when you open it, there is the biggest mirror ever! Now, I often find myself doing my make up while travelling to and from places and this mirror most definitely allows me to do that as I can see my whole face in it which is much different from my Naked Palette where it is a very small mirror due to the palette size and therefore it is difficult to do my make up in it. By including such a large mirror in the palette, Revolution have saved me a lot of space in my travelling make up bag as I do not have to carry a portable mirror which is great. 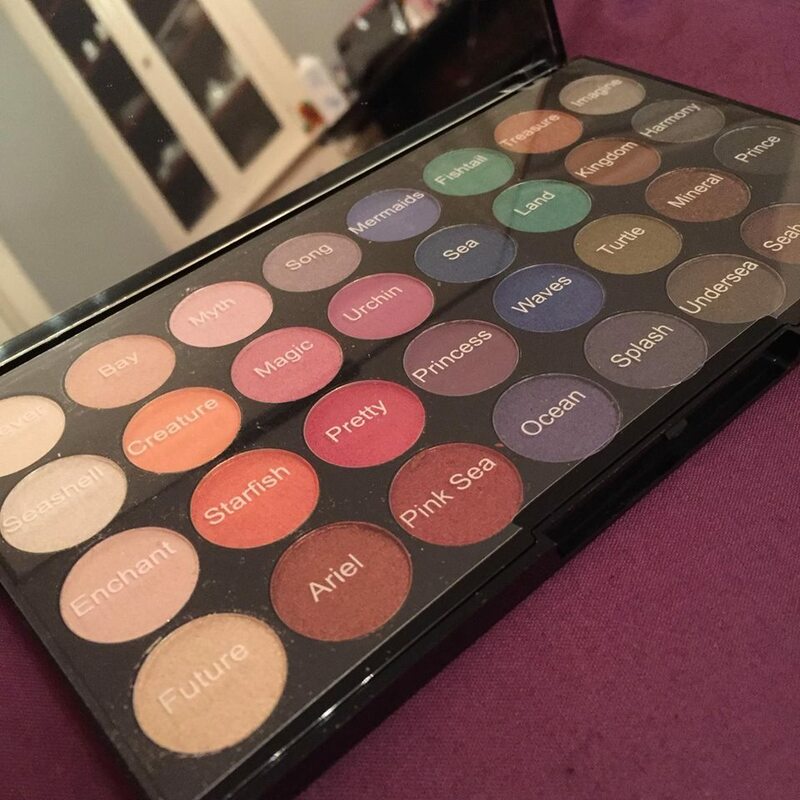 Something that is incredibly useful is when you open the palette, there is a sheet telling you the names of each shade for reference however I feel like I'm going to end up losing that sooner or later! On to the shadows themselves, the palette consists of 32 of the most beautiful bright, fun shades perfect for any look. 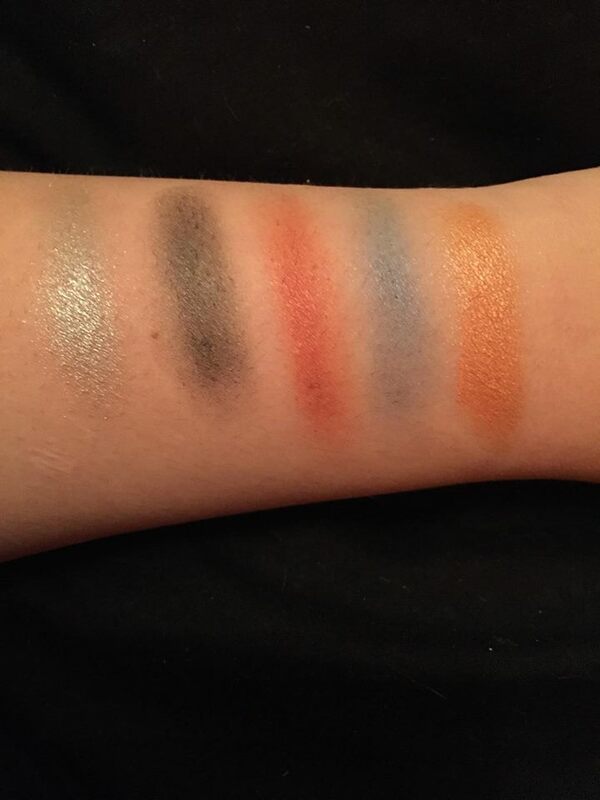 Just to say, I will be doing swatches of all of the colours in the gifted haul talked about above but I will swatch some of my favourite shades here so starting from the left, they are "Imagine", "Prince", " Ariel", "Sea" and "Starfish". There is the perfect mix of matte and sparkly eye shadows in this palette which is great. I never really thought I liked sparkly colours but then I got this palette and I'm just in love and I would definitely recommend it. Also, these colours are incredibly pigmented and I'm so surprised that the brand is so inexpensive! So, that's the end of today's review! I hope you all enjoyed reading this and I hope to see you again in my next post! As always, if you have any queries or suggestions, or you just want to say hi, please feel free to contact me and my contact information will be below!